Actor John Goodman admitted that he had a hard time accepting Roseanne Barr’s firing earlier this year, but he doesn't regret his decision to accept a starring role in the forthcoming spin off -- minus his long-time TV wife. Speaking in an interview with Jimmy Kimmel on Monday night, Goodman said he went on a downward spiral in May when ABC canceled the show after Barr made a racist comment about former Barack Obama aide Valerie Jarrett. 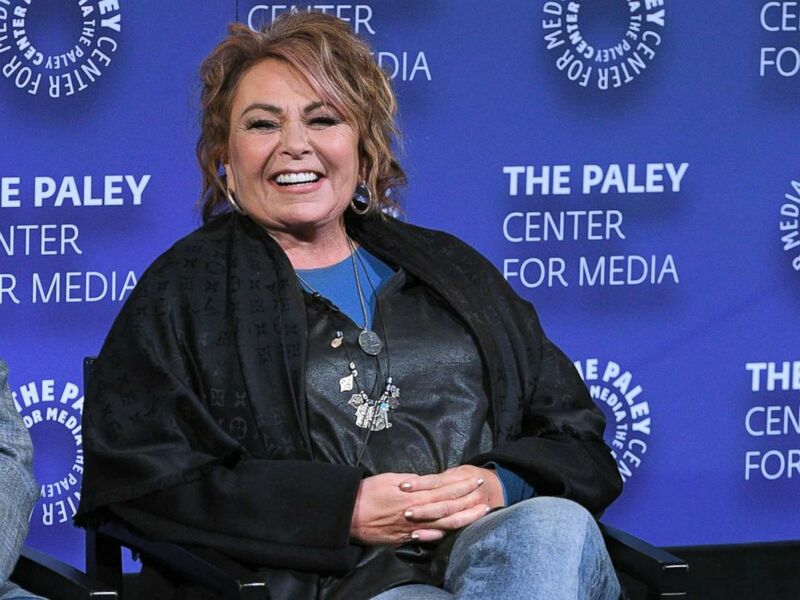 Roseanne Barr participates in a panel at the Paley Center for Media on March 26, 2018 in New York. ABC Entertainment President Channing Dungey called Barr’s comments “abhorrent, repugnant and inconsistent” with network’s values and fired the actress, despite her apology. Goodman, who defended Barr at the time, went on to accept a starring role in ABC’s “The Conners,” a spinoff centered on Goodman's character and the rest of the family. He noted Barr’s decision to renounce her financial stake in the show in an effort to give the series a fresh start. “She gave up a lot so that people could work,” Goodman said. The actor didn’t want to give away too many details, but he said Barr’s departure would be addressed on the show. Goodman previously said he thought Barr's character would be killed off in the new show, but the network has not confirmed his prediction.